Caterpillar has announced the introduction of the new Cat D Series of skid steer, multi-terrain and compact track loaders into New Zealand and Australia, and Gough Cat is scheduled to start delivering the new range this spring. The new Cat D Series of skid steer, multi-terrain and compact track loaders are robust and versatile machines, providing increased operator comfort and premium control features, building on the reputation of the previous B Series 3 and C Series ranges for quality and performance. The twelve models in the D Series range will set the benchmark for machine control and comfort in the mid-range machine size classes, ranging in operating weight from 3.1 tonne to 5.2 tonne. With a high-performance power train, advanced hydraulics and the tradition of Cat reliability, the new D Series machines are productive and reliable, even in the toughest working environment. Over the years, each series of Cat skid steer loaders has showcased a spacious and ergonomic operator station with easy-to-use controls for all day comfort. Customers can expect even more from the D Series with the introduction of the first cab re-design for this product range in over ten years. It will include operator control features and comfort previously only offered as standard in the larger models. Goughs building and construction product manager Paul Janovec says that with the design of the new D Series skid steers, multi-terrains and compact track loaders, Caterpillar seeks to provide increased operator comfort and safety via the new cab design. "The new Cat D Series units feature a sealed and pressurised cab with low noise levels, a heated air ride suspension seat for a smoother ride, and an integrated rear-view camera for best in class visibility," Janovec says. "For added safety, there are two emergency exits and a hydraulic accumulator that uses stored energy to allow the operator to lower the lift arms and level the bucket in the event of engine failure. 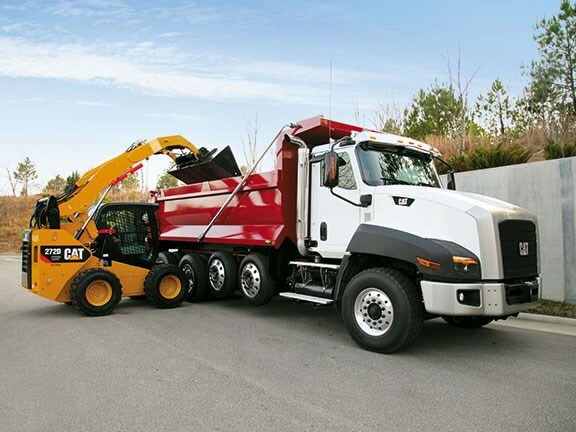 "These features, and more, add up to one of the safest operator station designs in the compact loader industry, and a lower risk of job site incidents." The Cat D Series advanced machine information and control system (AMICS) provides industry-leading machine capability and control. The gauge cluster and LCD screen enable the operator to adjust machine speed, implement speed, and hystat response control while displaying machine vitals. Janovec says the AMICS allows for a greater level of functionality for the operator to improve productivity and job efficiency. "This system monitors machine vitals and prevents problems, reducing potential downtime and repair costs. "Three levels of operator control for hystat response-and-implement speed maximise machine responsiveness and speed in high production applications. The value to our customers is allowing an optimal match between machine hydraulics, operating conditions and work tools." All D Series compact loaders are fitted with electro-hydraulic controls, providing the operator with improved machine control and features to achieve greated productivity. The electronic torque management system maximises torque to the ground, allowing the operator to focus on the task at hand instead of the management of the loader's performance. "Torque management is important to reduce fuel consumption, and this particular system will minimise excessive wheel or track spinning while helping our customers increase the life of their machine's components," says Janovec. Ease of operation and maximum operator control has been factored into every aspect of the electronic controls for the D Series skid steer and compact track loaders. The intelligent throttle control provides a standard electronic hand dial and foot pedal. "When the hand throttle is positioned at high-idle, the foot pedal functions as a 'decel' pedal," he says. "The operator can decrease revs as required by the job conditions and then return to high idle without removing their hand from the joystick. This feature is standard on the D Series, and allows for increased control of the machine when using work tools, working around objects or near trenches." 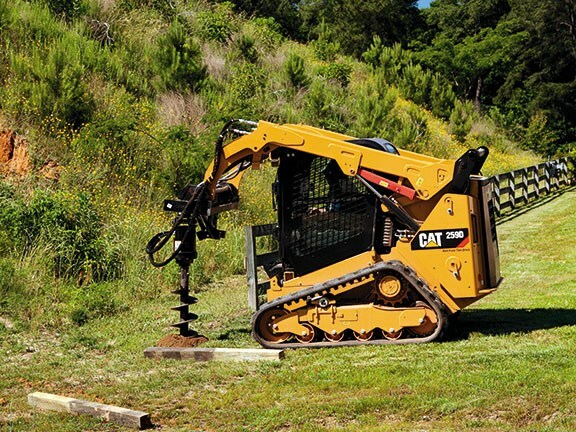 At the large end of the Cat D Series range there is industry leading horsepower. 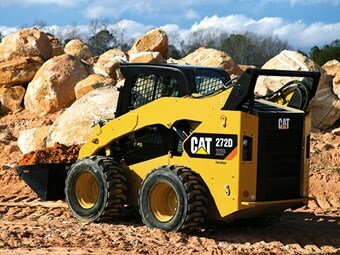 The Cat 272D XHP and 299D XHP are powered by a Cat C3.8 turbocharged engine producing 82kW of gross power. "These two models produce enormous power. The auxiliary hydraulic horsepower on both is 150 litres per minute with 4061psi – enough to run the most power demanding work tools. The extra high pressure is well suited to cold planers, mulchers and wheel saws." With the highly-anticipated arrival of the first Cat D Series loader into New Zealand, Goughs is confident the experience for its customers with the new model range will be as positive as with the previous series. 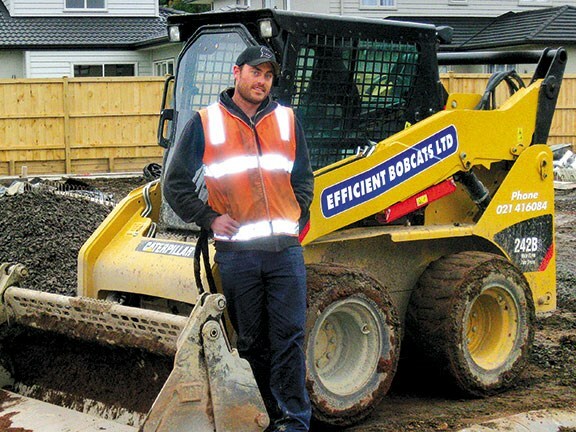 A recent recipient of a new Cat 242B3 skid steer loader is Auckland-based, and new Goughs customer, Efficient Bobcats Ltd. Owner Vaughan Cox says both he and the 242B3 operator Stevie are really impressed with the skid steer's performance and easy loading of six-wheel trucks on site so far. "[Efficient Bobcats] specialises in residential and industrial earthmoving, and the Cat machine's powerful hydraulics combined with its size and bucket capacity really help to speed up the process of jobs like bulk-filling and relocating aggregate," Cox says. Nick-named 'the Beast of the Fleet', Efficient Bobcats' 242B3 skid steer loader is its largest. With an operating weight of just under of 3.2 tonne, the 242B3 features a vertical lift design for extended reach and exceptional breakout force for easy truck loading and material placement. 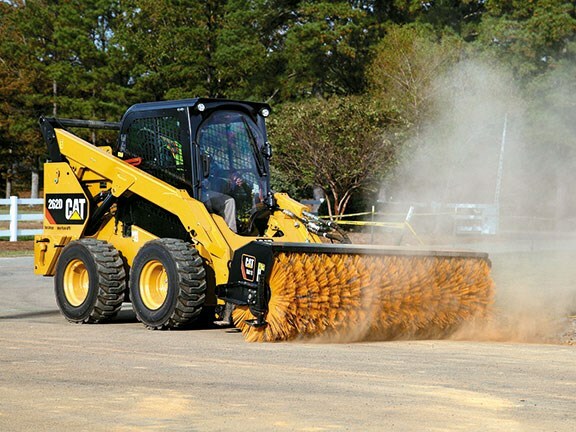 Cox is impressed with the compatibility of the Cat 242B3 with a wide range of work tools, and its high horsepower and torque to deliver outstanding performance. "The auger unit and the sweeper we run are universal with the 242. Its quick-hitch and the visibility to the work tool from the cab when you're coupling make the change out really simple." "It's got fast cycle times and the hydraulic system distributes good power through to the work tool so it performs well time after time." 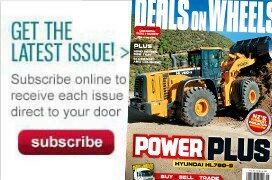 "We do the best we can to live up to the Efficient Bobcats name and reputation, and the Cat machine is certainly a huge help to us being able to do that." 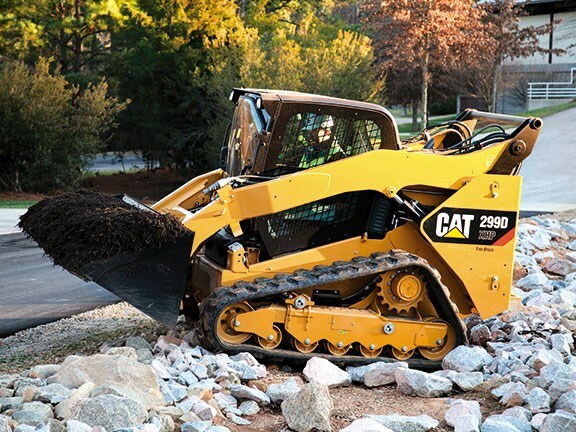 With the introduction of the new Cat D Series skid steer and compact track loaders, Paul Janovec says that in the same way as Efficient Bobcats, Gough Cat is building on the name and reputation of the Caterpillar product. "The D Series introduction will extend and strengthen the current range of skid steer, multi-terrain and compact track loaders offered by Goughs," Janovec says. "We're providing the market with a wide choice of best-in-class Cat machines, and our customers will be backed up by Goughs' superior after-sales parts and service support."